The Storm Prediction Center’s 1630z Convective Outlook. I had been watching this day for about a week, ever since I saw northwest flow setting up over Illinois in the forecast models. Northwest flow gives us a lot of our severe weather. So, the day of the event, I had work during the morning. 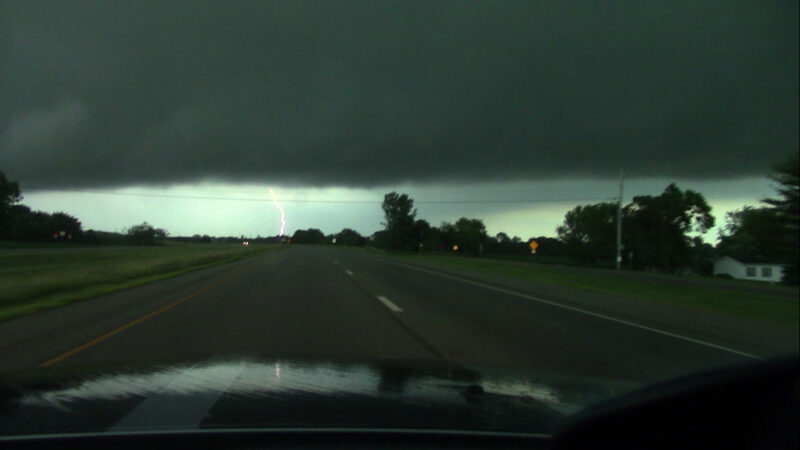 After I got off work, I stopped by my apartment briefly, and then headed north towards Sterling, IL. I ended up stopping in Rock Falls, which is just south of Sterling, for several hours; waiting for the storms. Eventually, scattered showers and storms started popping up across eastern Iowa. These storms drifted east into Illinois, at which point they rapidly strengtened. I gave them some time to get organized before I made my move. The storm that passed just north of Sterling developed rotation, so I followed after it. I did observe a large wall cloud on it. I followed the storm for a while, but there was quite a bit of heavy rain; making visibility limited. I was about to give up on that storm and go chase a different one when a Tornado Warning was issued for it; the first of the day. So, I stuck with the storm for a while. I headed west towards Amboy. 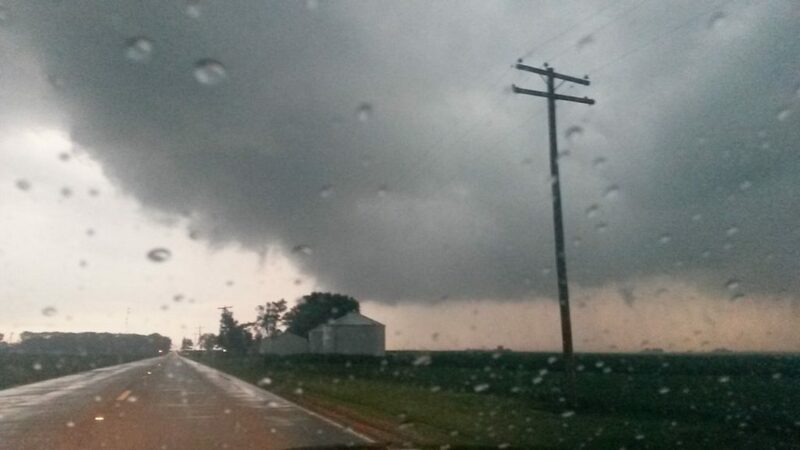 When I was somewhere southeast of Amboy I saw a very, very low lowering. But, the rain was very heavy and I was kind of close, so I couldn’t make out if it was a tornado or not. There was a tornado reported in that area, however. From there I drove to Mendota, and then west; heading towards a storm farther to the west that looked favorable. 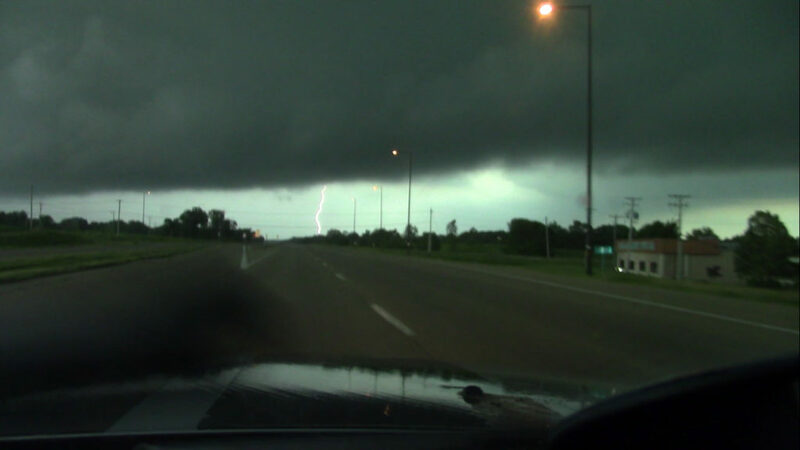 Along the way, the storm I was driving through became tornado warned. So, I decided to check this storm out. 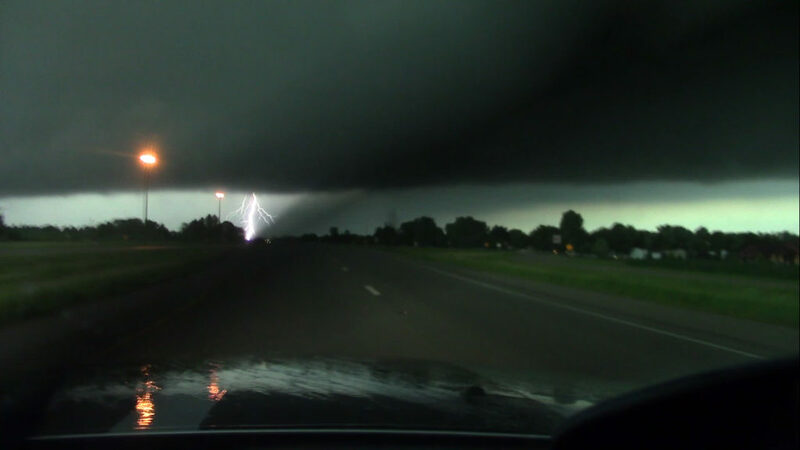 I saw a low, well defined wall cloud and plenty of lightning. I chased after this storm for a while, and eventually saw a brief rope tornado near Troy Grove.